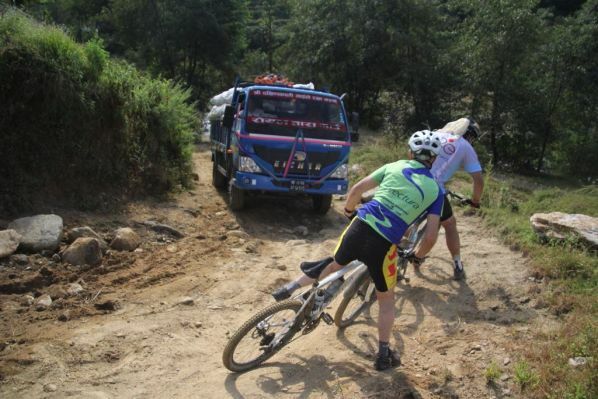 Leadership Challenges is a Wiltshire-based social enterprise that uses adventure to inspire leadership. 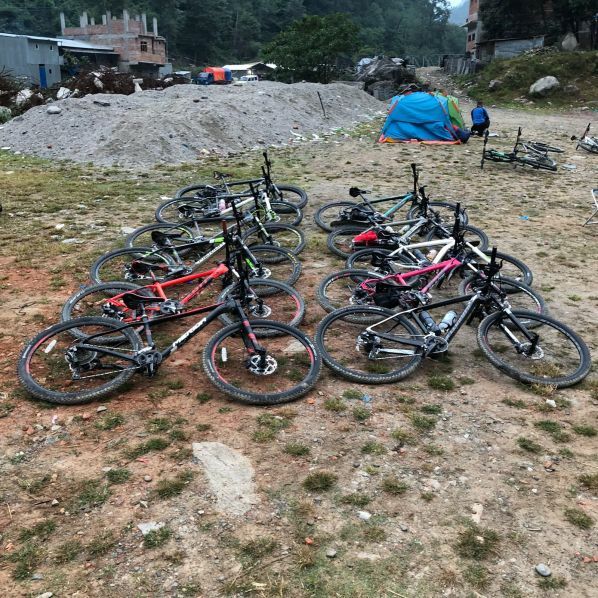 In October/November 2017 and together with YYY Foundation they took 11 cyclists to Nepal to tackle 400 kilometres of tough off-road terrain between the epicentres of the two earthquakes . 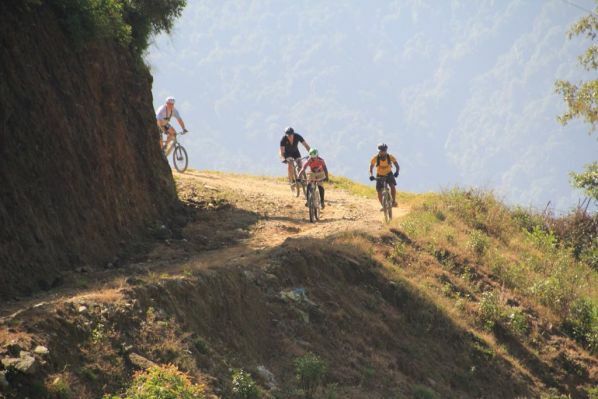 The route passed through the central hills of Nepal, traversing some of the areas worst hit by the 2015 earthquakes. 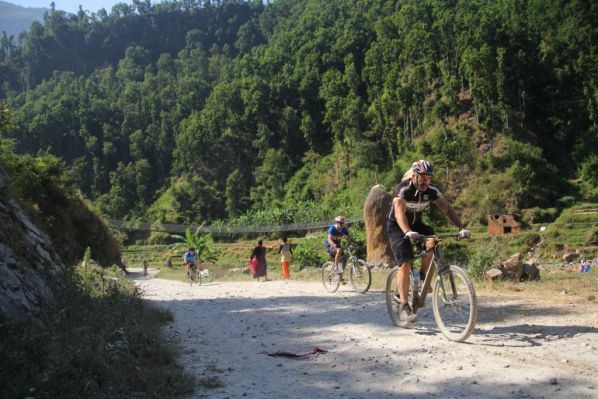 As well as facing a tough physical challenge, the cyclists were directly exposed to the aftermath of the earthquakes and the appalling conditions in which many villagers are still living. There are so many humanitarian challenges around the world, with floods and quakes regularly reported on the world news. For the villagers of Nepal who suffered the catastrophe of the earthquakes last year, it feels like the world has forgotten their plight. Little aid had been getting in to Nepal and little had been done by the Nepalese Government or other world bodies to help the villagers to rebuild their homes and infrastructure on the 2 years since the quakes. Since the 2017 elections this is now changing but many people were still living under corrugated iron shelters, without proper water supplies, and without a school for their children. 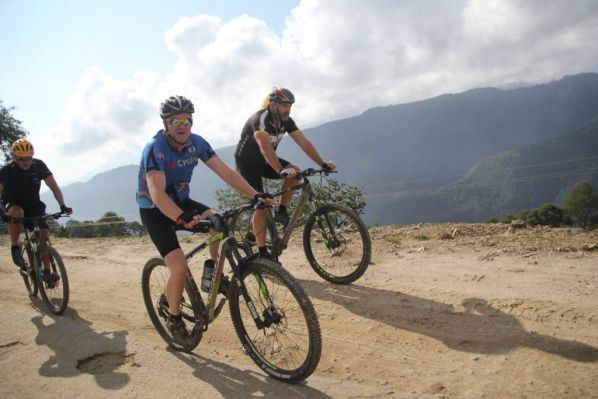 e2e challenge set out to raise awareness of the country's plight and aspired to raise enough money to build 5 new schools to replace buildings decimated last year. These new schools can change the lives of hundreds of children who live within the local catchment areas, and whose life chances are being compromised as they continue to have no access to schooling and education. 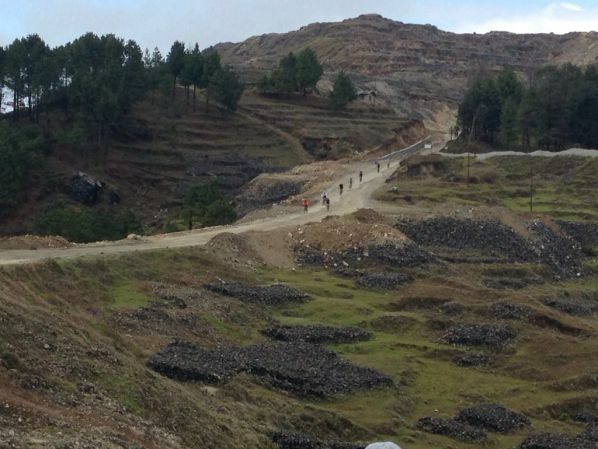 The route took the e2e Challenge team through some of the villages where the new schools will be built, and also passed close to two of the schools which YYY Foundation had already helped to rebuild. 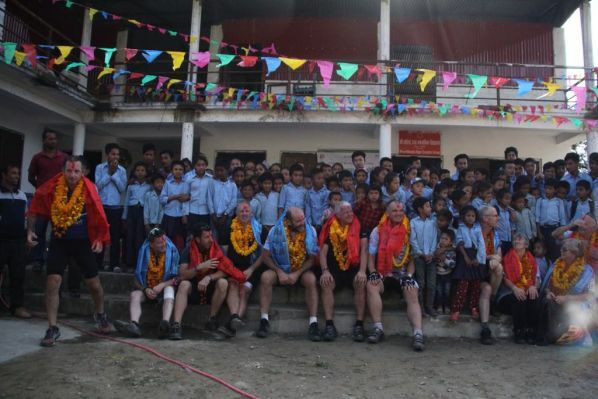 The cyclists faced a huge personal challenge; for all of us, it was a chance to show the Nepalese people that we have not forgotten them, and to help to change the lives of hundreds of disadvantaged children for the better. e2eChallenge17 was photographed by Sarah Gurung, Shanta Nepali and filmed by Tim Hunt, Hunt and Create. In testing and very challenging conditions the team produced a daily stream of short films that summed up the event brilliantly. The final highlights film above encapsulates the tortuous journey each rider took to raise over £36,000 (plus GiftAid) for YYY Foundation. We are profoundly moved by their efforts and extend our heartfelt thanks to everyone for supporting this challenge of a lifetime.